Key difference: Hardwood and softwood are two categories used to classify different types of woods. Basically, hardwood is the wood that comes from an angiosperm tree. This is a type of tree that has seeds that are enclosed, be it in pods, a shell, a covering or in a fruit. Some famous hardwoods include maple, balsa, oak, elm, mahogany, and sycamore. Softwoods generally are wood from a gymnosperm tree. A gymnosperm is a type of tree that has seed that have no covering and tend to fall to the ground. Some famous softwood trees are pine, redwood, fir, cedar, and larch. Hardwood and softwood are two categories used to classify different types of woods. Many people consider that hardwood is named such because it is harder and denser than softwood. This is true often enough, but not all the time. Take for example the balsa wood, which is soft, light and less dense than most other woods, but is classified as a hardwood. The classification of the wood is not actually done on the basis of weight or density; rather it is done on the basis of plant reproduction. Basically, hardwood is the wood that comes from an angiosperm tree. This is a type of tree that has seeds that are enclosed, be it in pods, a shell, a covering or in a fruit. For example, apples or nuts and seeds like acorns and walnuts. These types of seeds allow birds and insects to be attracted to the flowers of the tree and be able to carry the pollen to other trees. This is also the reason why hardwood trees are not often bunched together but are spaced apart and often have other trees in-between them. Hardwoods are used for various applications such as fuel, tools, construction, boat building, musical instruments, flooring, cooking, barrels, manufacture of charcoal, etc. However, most people relate hardwoods for use in home furnishing and furniture. The most commonly used hardwoods for furniture include oak, ash, acacia, mango and mahogany. Furniture made with hardwood tends to be long-lasting and durable. Due to this hardwoods are generally accepted as being the highest quality wood. However, with the high density of most hardwoods, they have a tendency of splitting, due to which the carpenter has to take extra care while making a piece of furniture. Despite this, some hardwoods are preferred for a particular use. For example: maple and elm are often used for flooring, while balsa is preferred for models and lightweight wood projects as it is easy to work with. Softwoods generally are wood from a gymnosperm tree. A gymnosperm is a type of tree that has seed that have no covering and tend to fall to the ground. Gymnosperms reproduce by forming cones which emit pollen to be spread by the wind to other trees. This allows the seeds to spread out and grow over large areas. This is also the reason why most softwood trees tend to grow in huge tracts that may spread for miles like ‘woods’ and ‘forests’. Most softwood tends to come from conifers like pines, firs and spruces. Conifers are also commonly called evergreens because their leaves tend to stay green and do not fall to the ground in cycles. Some famous softwood trees are pine, redwood, fir, cedar, and larch. 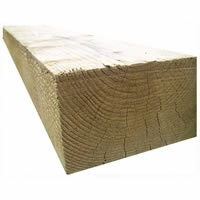 Softwood is quite popular and common. It is in fact the source of about 80% of the world's production of timber. It has various applications, of which the most popular are woodwork, and furniture. Softwood is more commonly used for furniture than hardwood, mainly because is tends to be cheaper. This is due to the fact that softwood trees tend to grow faster and hence are easier and cheaper to produce. This also makes softwood more environmentally friendly, as it can be more readily renewable than hardwood. Softwood is generally considered inferior than hardwood, as it is usually soft and hence has a less impressive shelf life. It does not last as long as some other hardwood. They also require much more care and maintenance as it is very easy to accidentally scratch or make dents in softwood furniture. Softwood furniture also tends to have less attractive markings and so they do not stain as well as hardwood. However, as the softwood is cheaper and easier to afford, it does give an alternative to the more expensive hardwood. Some softwood are also better suited to some tasks that hardwood. For example: Redwood is often used for decks and other outdoor applications as it is naturally insect resistant. "Most hardwoods are deciduous" Not south of the equator. I like your post that you r share to us .Thankyou. This infomation will help me in my science homework ao difference between woods.